On the night of Valentine’s Day, even if it was Sunday, we went to Eastwood to have at least a little celebration. 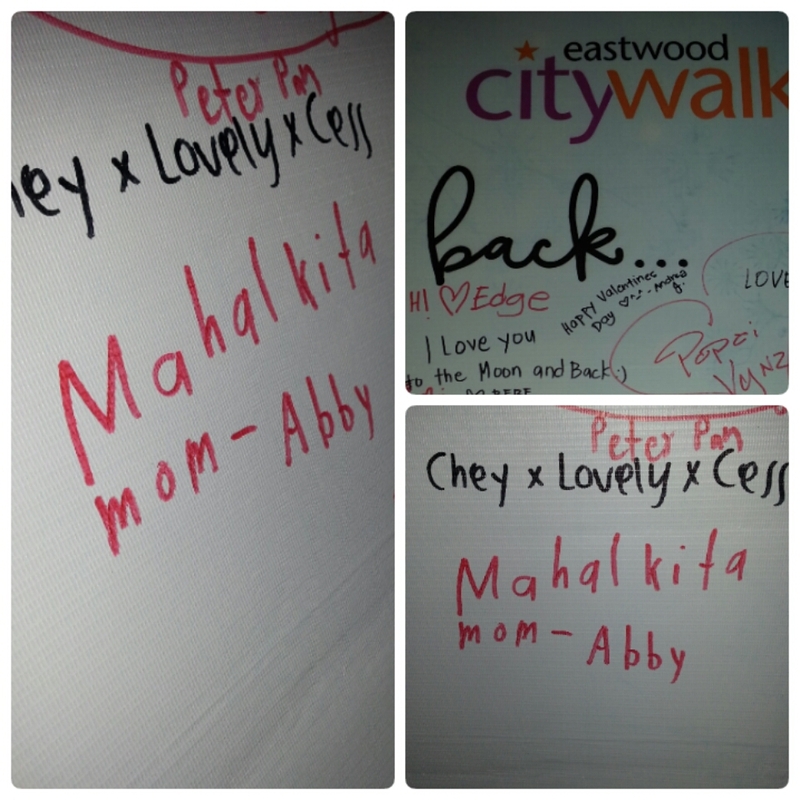 But before we settled to have our dinner, we walked around and found a big white wall where people can write anything they want to tell their loved ones or Valentines. Gabbie stopped in the middle of the crowd gathered in front of the wall and lined up for the pen/marker. Then she went forward and found a free space at the bottom of the wall. At first I thought she’d ask me what to write. But then she wrote this. So sweet. Despite our fights and disagreements and arguments, her first thoughts of love are still her love for me and her family. ~ by ivymarasigan on February 17, 2016. When to draw the line?